The Legislative Evaluation Assembly of Minnesota (LEA) is a non-partisan and non-profit organization, established to inform the citizens of Minnesota of both important legislation and the voting performance of each Minnesota state legislator. LEA bases its evaluation on our declared American founding principles of self-evident truths and inalienable rights. These principles provide a basis for a constitutionally limited government established to sustain life, liberty, justice, property rights and free enterprise. LEA encourages the use of the material in its Reports, in whole or in part, with attribution, by any group or individual. 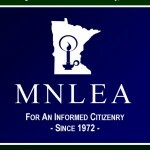 LEA President’s remarks on the 2011 Minnesota Legislative Session. 2019 Awards Banquet: Come Join Us!